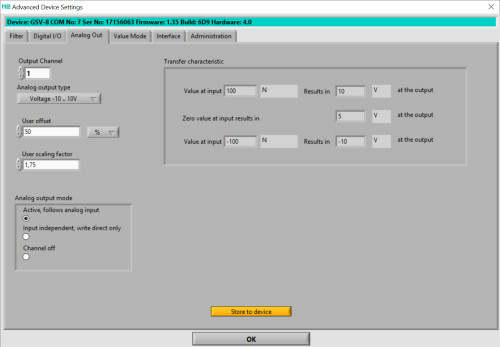 The configuration of the analog outputs is reached from the "Device" -> "Advanced Settings" menu bar. The analog output of the GSV-8 is configurable as a voltage output and as a current output. 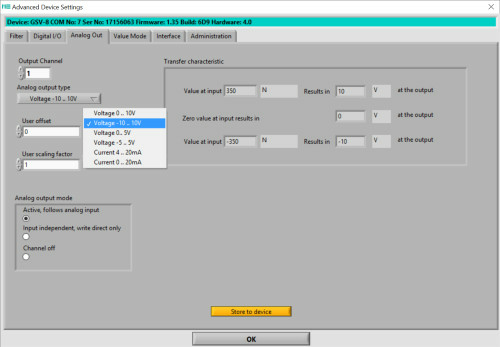 Offset and scaling of the analog output can be independently set for each channel.